There's a reason National Parks are called America’s best idea. Setting aside vast expanses of pristine land for timeless preservation provides a refuge for millions of Americans to experience the outdoors and press the reset buttons on their busy lives. So many people are now flocking to the National Parks that 2015 saw a whopping 307 million visitors, almost on par with the entire US population. A few of the bigger parks in the West, namely Yellowstone, Yosemite, Zion, Rocky Mountain, and the Grand Canyon saw a combined total of 21.5 million visits last year. With these thronging crowds, it’s often hard to find the solitude that most of us expect when we visit these preserved places. Fortunately, there are plenty of parks to share (and spread out) the love. The following national parks and monuments saw only 1.4 million visits combined in 2015. Here’s a guide to six underrated national parks and monuments in the West, where adventure and solitude await. Tucked in the easternmost part of Nevada, this lesser-known gem rises abruptly on the edge of the Great Basin Desert. Its remote location means it is certified as an International Dark Sky Park, and most observers are able to see the Milky Way with the naked eye. The park is well-known among astronomers as one of the best stargazing sites in the world and offers events like full moon hikes and the Astronomy Festival held every September. 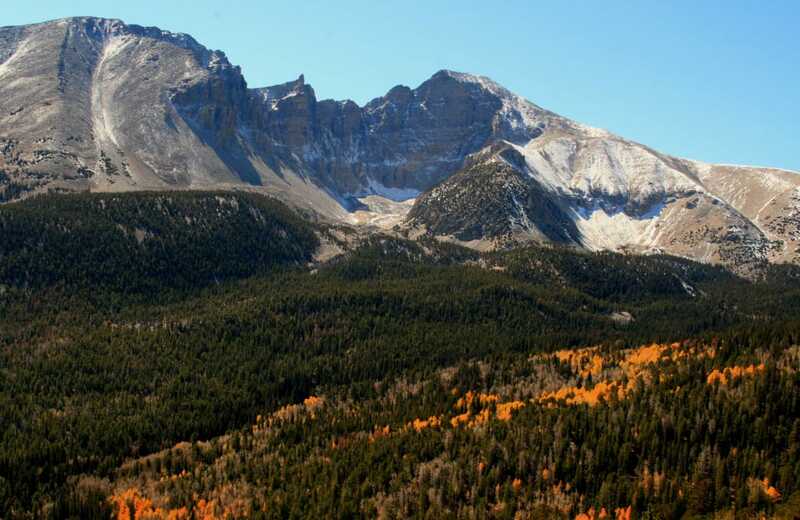 Here you’ll find playas, mountains, fossils, rock formations, caves, creeks, springs, and Nevada’s lone glacier underneath the cirque of Wheeler Peak, Nevada’s tallest mountain (13,065’). Chose to explore one of three ancient bristlecone pine groves, take a tour of Lehman Caves, or discover pictographs from Fremont Indians. True to its name, Craters of the Moon National Monument feels eerily similar to a barren moonscape, or at least, what we imagine a barren moonscape to be. 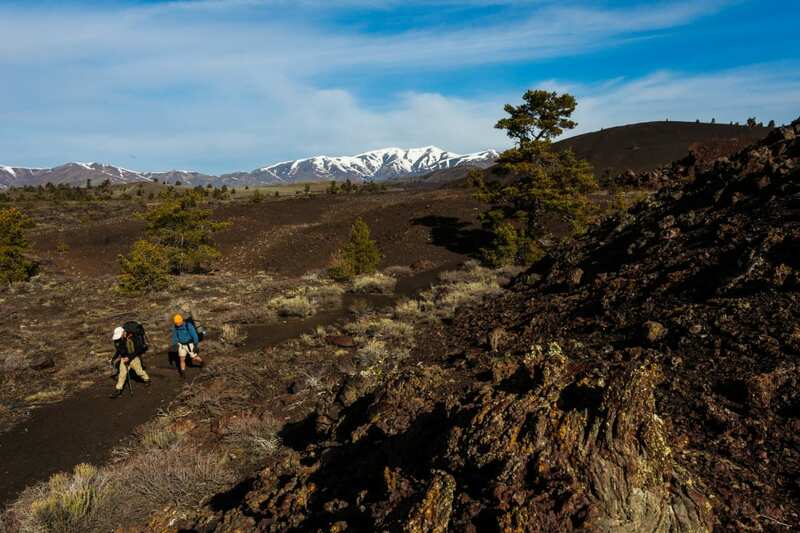 Featuring seemingly frozen-in-time lava flows and jet black volcanic cinder cones, this park’s relatively young geologic features are sure to awaken your inner geologist. For those hitting up the popular park circuit, Craters of the Moon lies on the route from Yellowstone down to Yosemite. The park can be seen in as little as 30 minutes by way of the scenic loop, but why sell yourself short? We recommend booking a campsite in the Lava Flows Campground and giving yourself time to hike the 3.5 mile North Crater Trail and climb a cinder cone or two. 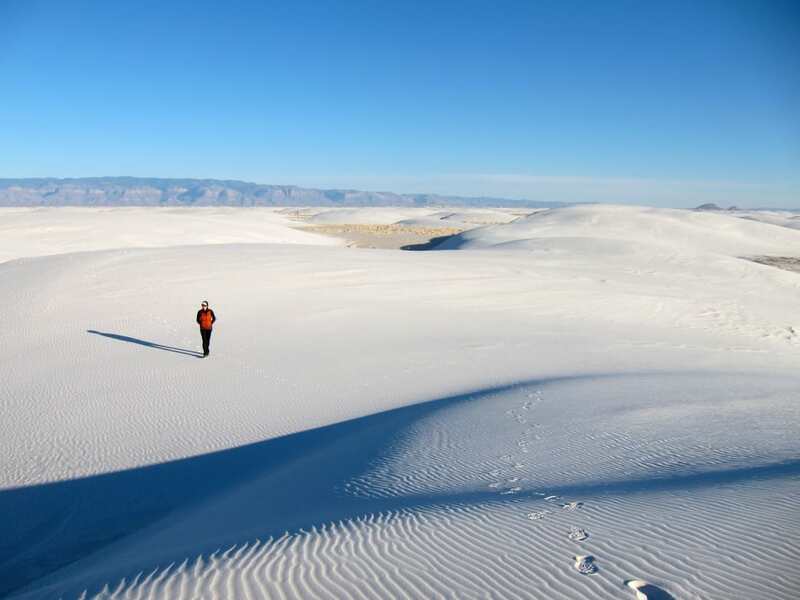 This other-worldly landscape, tucked in the unassuming Tularosa Basin near Las Cruces, is filled with 275 square miles of pure-white, rippled sand dunes. It's an oasis in the Chihuahuan desert that was formed by gypsum rich soils slowly being deposited at the bottom of the basin from years of runoff and erosion. Visitors to White Sands can bike the roads, hike the dunes, picnic, and even sled the steep slopes. Adventurous souls can also camp right on the dunes by planning a once-in-a-lifetime overnight backpacking trip. From your quiet backcountry camp you might catch a glimpse of the local nightlife, like desert bobcats, badgers, coyotes, and porcupines that wander from dune to dune. The Organ Mountains outside of Las Cruces erupt from the desert floor in a stunning fashion comparable to the jagged Tetons of Wyoming. 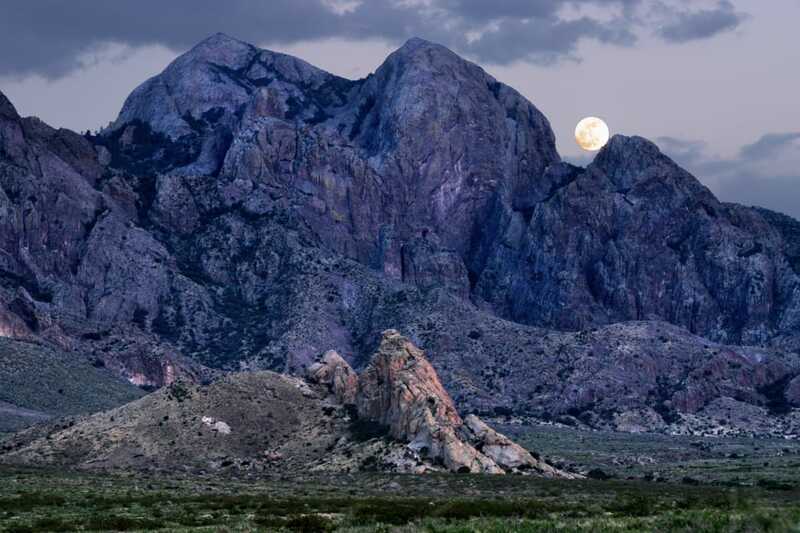 Score an epic campsite in the Aguirre Spring Campground with views of the towering craggy peaks above and plan for a full day of exploring this 496,000 acre park. Those looking for a mellow outing packed with wildlife sightings can hike the two mile Dripping Springs trail to the historic (now abandoned) resort and sanitorium tucked in the valley. Ambitious and experienced hikers can set aside their day to hike up and over the Organ Mountains on the roughly 12 mile out and back Baylor Pass Trail. Standing at the Chasm View on the rim of the Black Canyon, looking down the shadowed wall of cliffs dropping 1,800 feet into the stormy waters of the Gunnison River, it’s hard not to feel a little overwhelmed at the thought of your own insignificance. Yet, the sounds of canyon wrens calling, the little white-throated swifts twirling and spinning through the updrift of the canyon winds, and the feeling that you can stay at the viewpoint as long as you desire, is grounding in the way only a place with no crowds (a rare thing in Colorado) and no lines can grant. Easy nature trails ringing the rim of the canyon highlight the park’s wildlife including mule deer, peregrine falcons, and great horned owls. Advanced rock climbers will enjoy the 140 routes throughout the park, all of which are rated 5.8 or above. 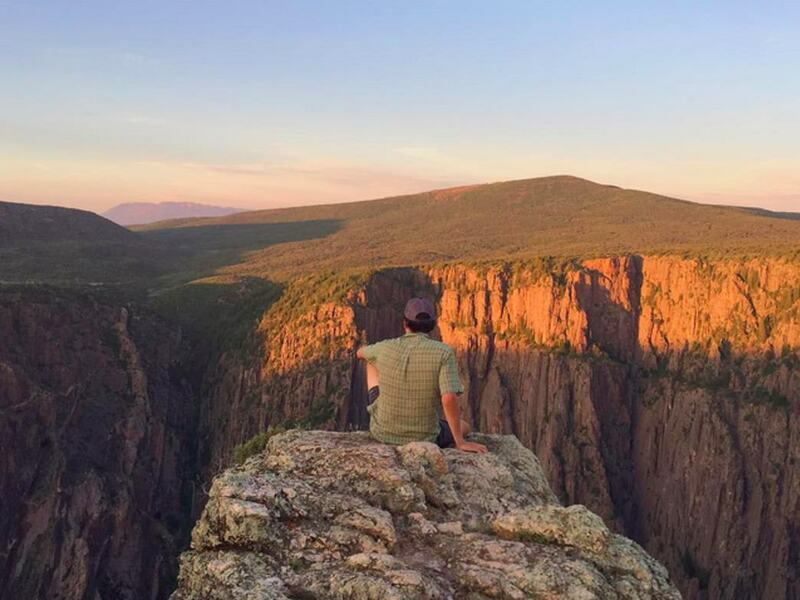 When the day is done, camp in one of the three campground loops on the rim of the canyon or take the plunging drive into the canyon bottom for an amazing camping experience alongside the Gunnison at the East Portal Campground. 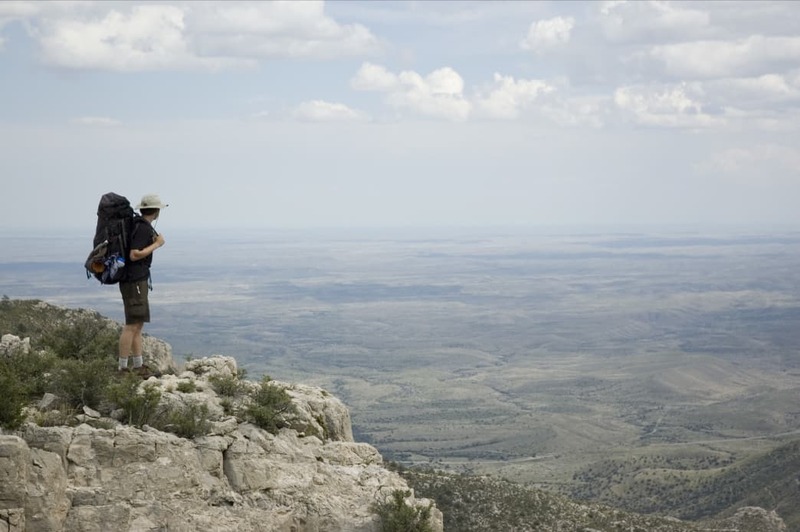 Home to the tallest point in Texas and boasting three distinct ecosystems in this single park, you’ll be amazed at how much diversity you’ll see in one hike in the Guadalupe Mountains. Backpackers will love the 10 backcountry camping destinations, ranging from 4.2 to 9.2-mile long trails that weave through cacti, ponderosa pine, and wild rose and feature breathtaking views of the surrounding mountains and El Capitan (8,064’). For day hikes, climb to the top of Texas on the 8.5-mile route to Guadalupe Peak (8,751’). Enjoy fall colors on McKittrick Canyon Trail as you pass the historic Pratt Cabin and the scenic grotto formation. Or find a desert oasis, pool, and waterfall in Smith Spring, just a 2.3 mile hike from Frijole Ranch Trailhead. Written by Donielle Stevens for RootsRated.